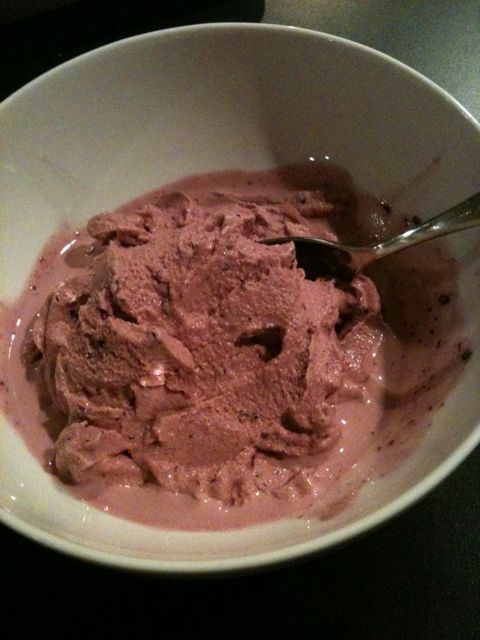 Tonight I made blueberry frozen yogurt. Really yummy (and healthy). I mixed Greek yogurt, blackberry nectar juice, and blueberries (cooked in the microwave to soften) with a hand-blender and voilà! Yumminess! I LOVE Starbucks Pumpkin Loaf. I could, and often do, eat it every day. But I also could make it myself. I found a recipe that tastes pretty darn close to Starbucks’ recipe. The only problem is it is loaded with butter and sugar. I also made pumpkin frozen yogurt. A little strange but healthier than our usual fare. Puh-lease tell me you have a healthy, but yummy pumpkin bread recipe. Or a fool-proof recipe for frozen yogurt?